ICMR Recruitment 2018 2019 Application Form for 01 Data Entry Operator (DEO) Posts Download Application through Official website www.icmr.nic.in. ICMR DEO Jobs Notification 2018 Released. 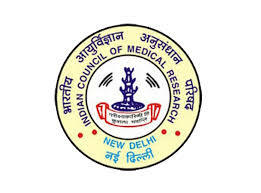 ICMR invites Walk in Interview for appointment in following DEO post in Indian Council of Medical Research. Candidates are requested to Download Application through Official website www.icmr.nic.in. Prospective candidates will have to before Walk in Interview carefully reading the advertisement regarding the process of examinations and interview, eligibility criteria, Offline registration processes, ICMR Walk in Date, ICMR Result Date etc. • Intermediate or 12th pass from recognized board. • A speed test of not less than 8000 key depressions per hour through speed test on computer. Pay Scale: Monthly consolidated emoluments – Rs. 17,000/- p.m. under the existing ICMR rules for staff engaged in Ad-hoc research projects/schemes.